Use this script to create a point at the selected object(s) pivot then link that object(s) to the newly created point. 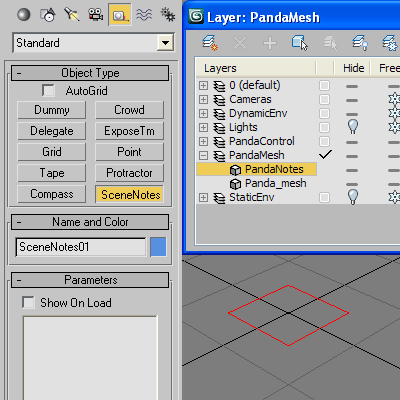 A Rotator Helper script for 3ds max r5. Kind of like the one Sergio Mucino had. It generates 3 Torus - converts them to an editable poly rotates 2 of them and attaches them all into one object named Rotator Helper. This object as helper does have it's pivot coordinates already set to the world axis no matter wich viewport you create it in. Use this script to pick a point on the surface of a mesh then place a point helper at the halfway point between the point you pick and the back of the mesh. Use this script to create a point at the selected object(s) center. Use this script to create a point at the selected object(s) center then link that object(s) to the newly created point. Use this script to create a point helper at the selected object(s) pivot.